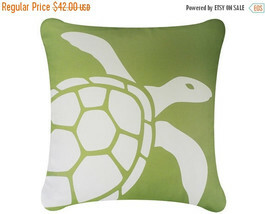 Our graceful Sea Turtle throw pillow cover is a perfect way to add beach house decor to your home. 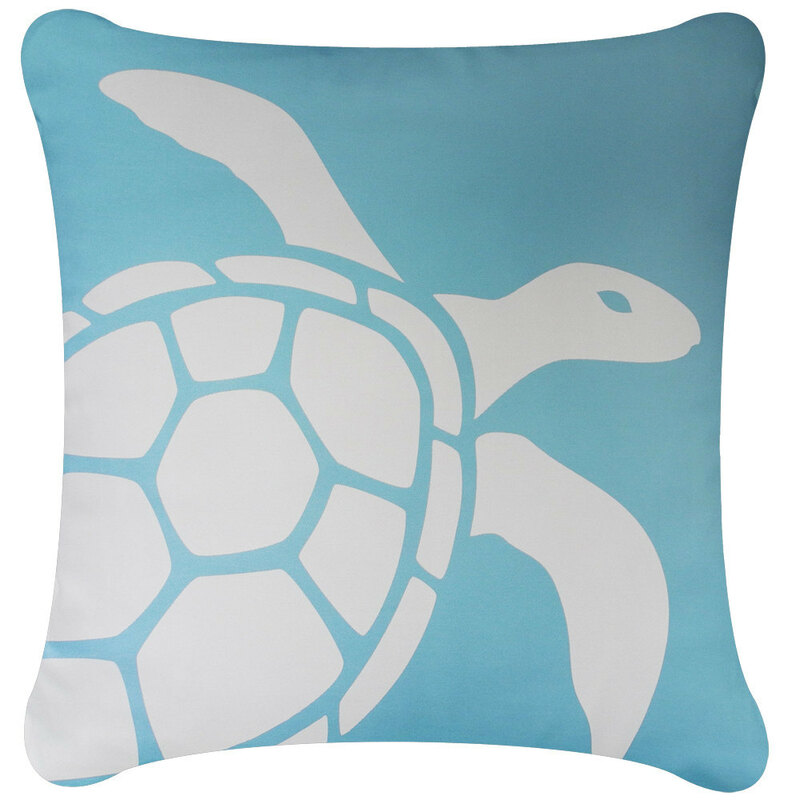 The decorative pillows in sea green or ocean blue provide a cool pop of coastal color to any couch, bed or chair. They're also a great option for ocean themed kids' rooms. The covers measure 18 inches square and coordinates well with other throw pillow covers in our Shore collection. 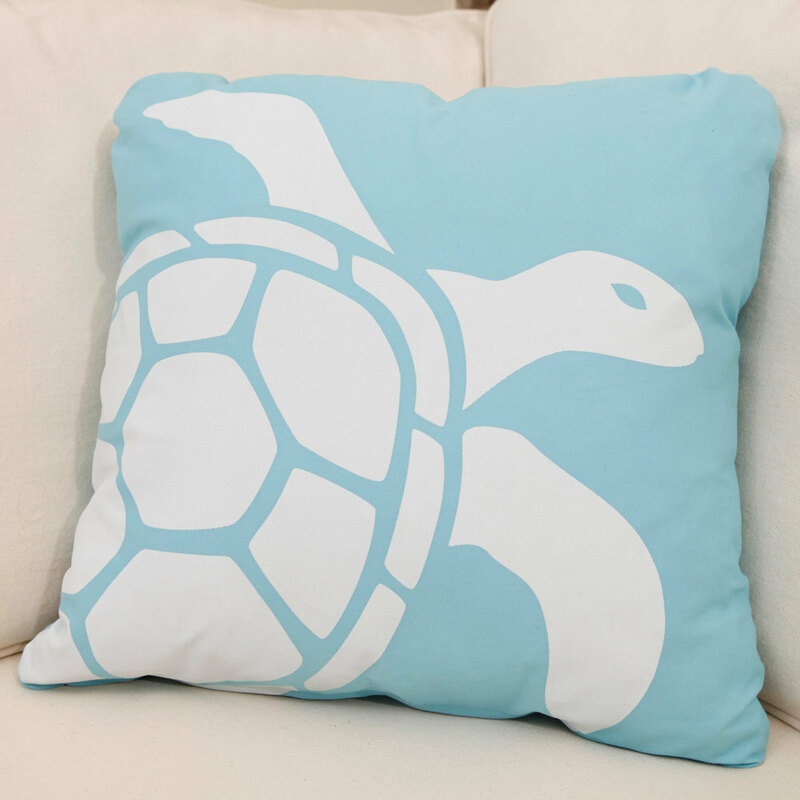 The sea green cover is made out of 100% GOTS certified organic cotton twill fabric hand printed with environmentally safe water-based inks. The ocean blue cover is natural cotton. The backs are solid colors. Designed, hand printed, and fabricated in America. 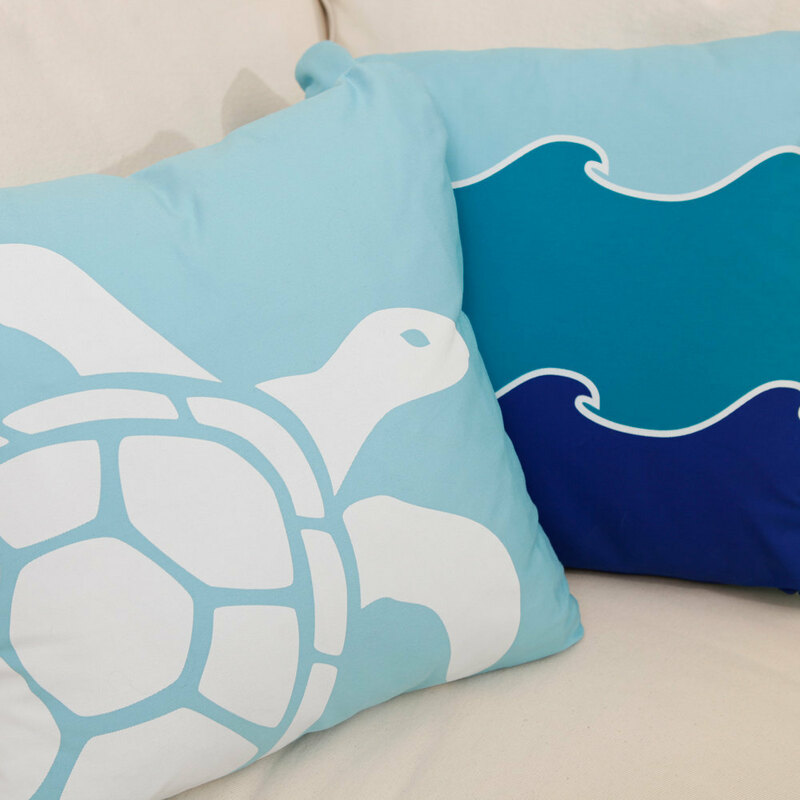 All pillow covers are constructed with a hidden zipper for easy removal and cleaning. Pillow inserts are not included in this listing. Machine wash cold, gentle cycle. Tumble dry low.